"No matter the challenge or situation you are always there with intelligence and a can-do approach. You know what it means to be a partner in our important work." 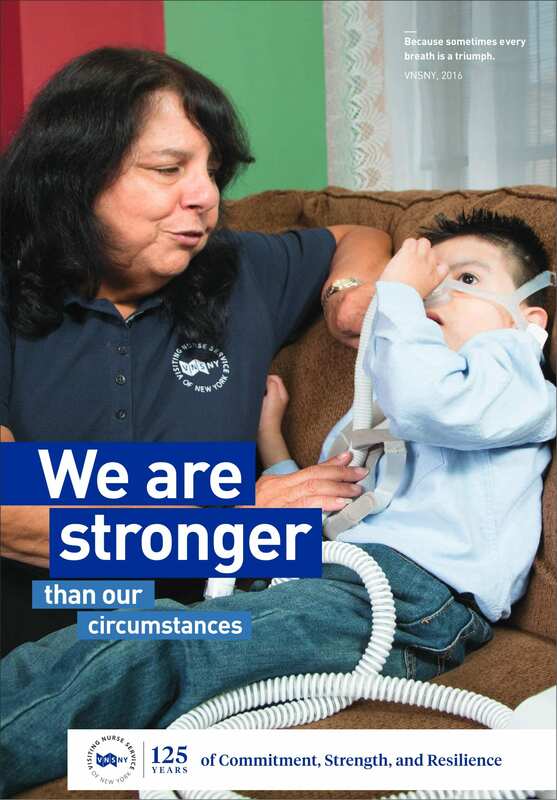 The Visiting Nurse Service of New York (VNSNY) is the largest not-for-profit provider of home- and community-based healthcare in the U.S. Founded by the nurse and humanitarian Lillian Wald in 1893 on Manhattan’s Lower East Side, VNSNY has a rich history of providing compassion and expert care to patients throughout the five boroughs and surrounding counties. 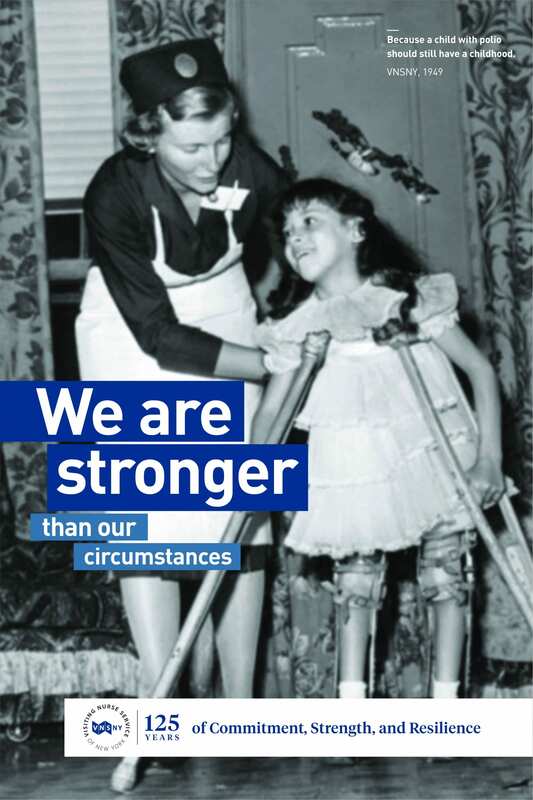 The organization wanted to capitalize on the opportunity of its 125th Anniversary to celebrate its legacy and inspire staff to carry this legacy forward into the future. They sought to develop a campaign that was primarily directed internally, toward staff, but that also had the capacity to reinforce VNSNY’s prominence in the New York community. 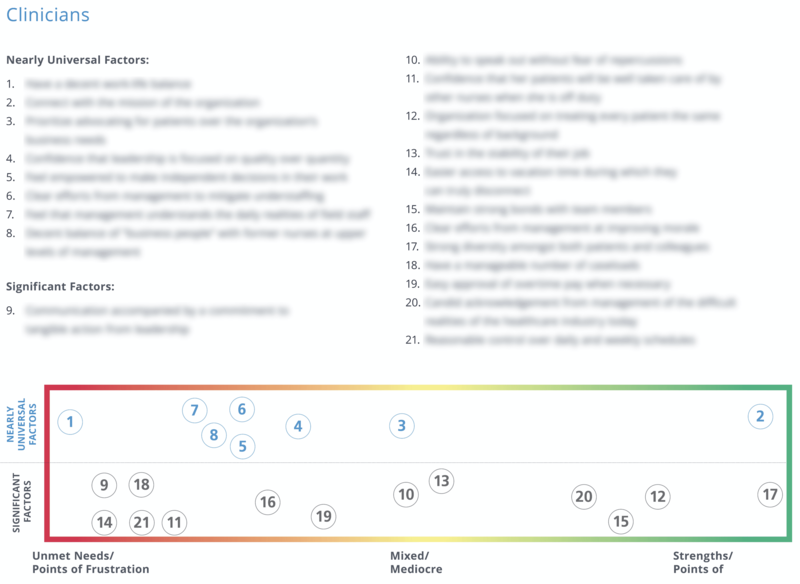 We also developed an organizational Brand Pyramid and Brand Value Map for VNSNY. 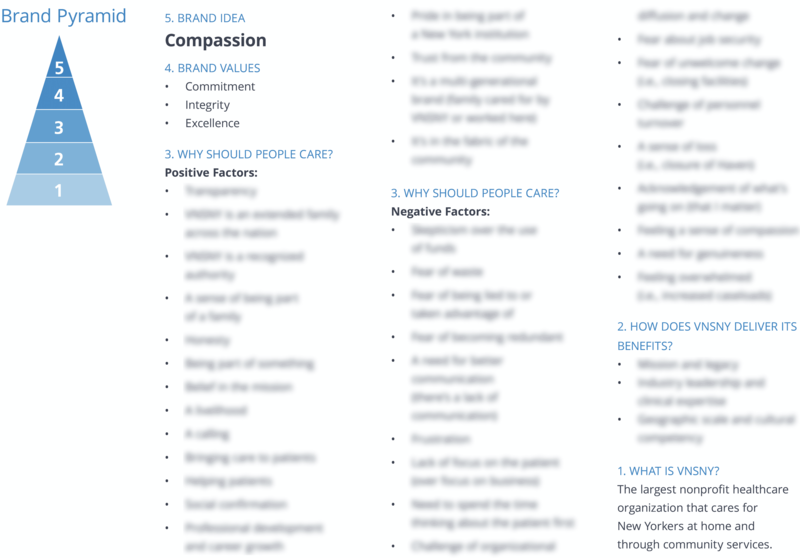 At the top of the Brand Pyramid, the Brand Idea is “compassion,” which is the organizing principle for all of VNSNY’s work. 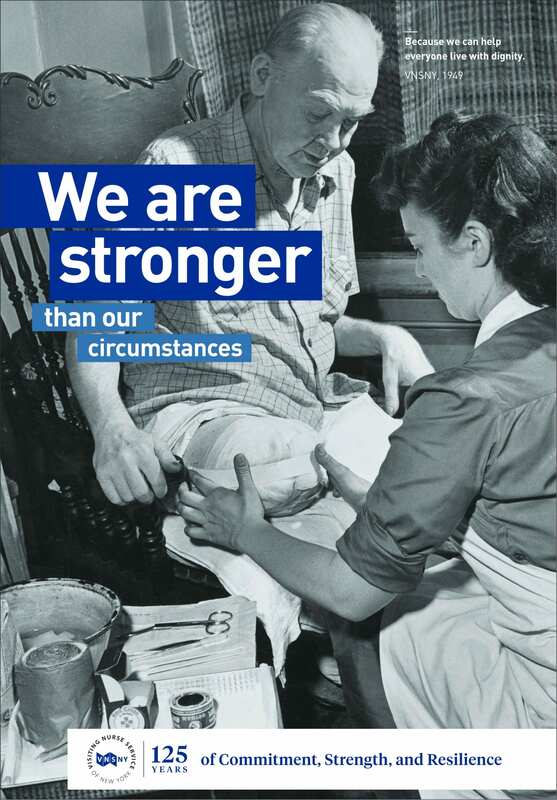 Because the campaign’s primary audiences were internal, we focused our research on staff. We conducted in-depth interviews with people in a range of roles from clinicians and supervisors to home health aides. The organization had been in a transitional period for a variety of reasons including seismic shifts in the U.S. healthcare industry. This was causing significant frustration for staff, which emerged in the interviews. But the sense was that belief in the mission and alignment with the Core Values and Brand Idea had the capacity to override these frustrations. Our research emphasized that being authentic—acknowledging the organization’s challenges rather than presenting everything as artificially rosy—was crucial to a successful campaign for internal audiences. We developed a range of campaign themes to test in the interviews. 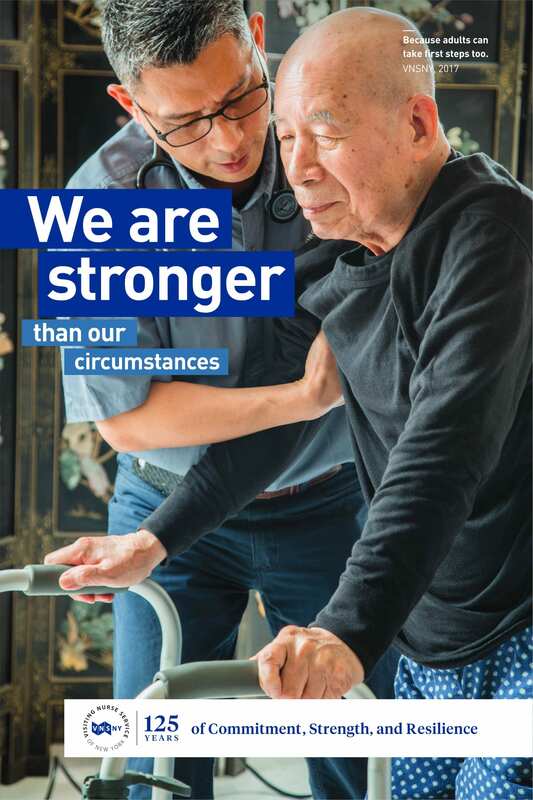 Two of them emerged as the best candidates, and we blended them into one: “overcoming challenges in changing times.” Having shared agreement on this theme gave us necessary direction in the messaging and design development for the campaign. 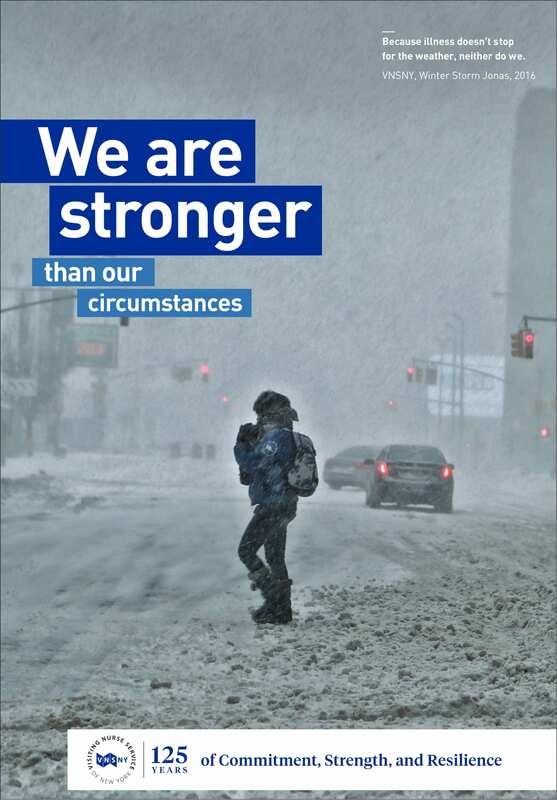 In line with our campaign theme and research findings, our strategy was to acknowledge the tough times that VNSNY had endured while leveraging the organization’s long history of resilience. VNSNY was a leader in responding to crises like the influenza, polio, and AIDS epidemics, as well as disasters like 9/11 and Hurricane Sandy. Our messaging would highlight that we’ve been here before and that we as an organization will overcome this together because it’s part of who we are. 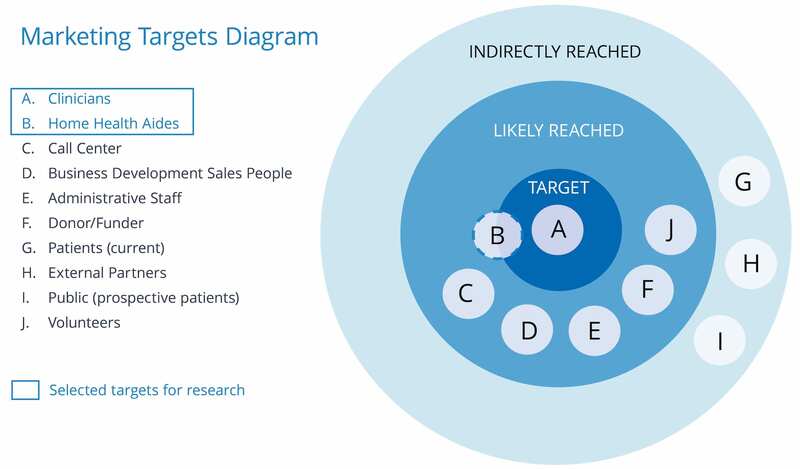 We established a Marketing Targets Diagram that segmented internal audiences and clarified our primary focus on VNSNY clinicians and home health aides, while asserting that other groups throughout the organization would also respond to the same message. External audiences—patients, partners, and the public—would only be reached indirectly. 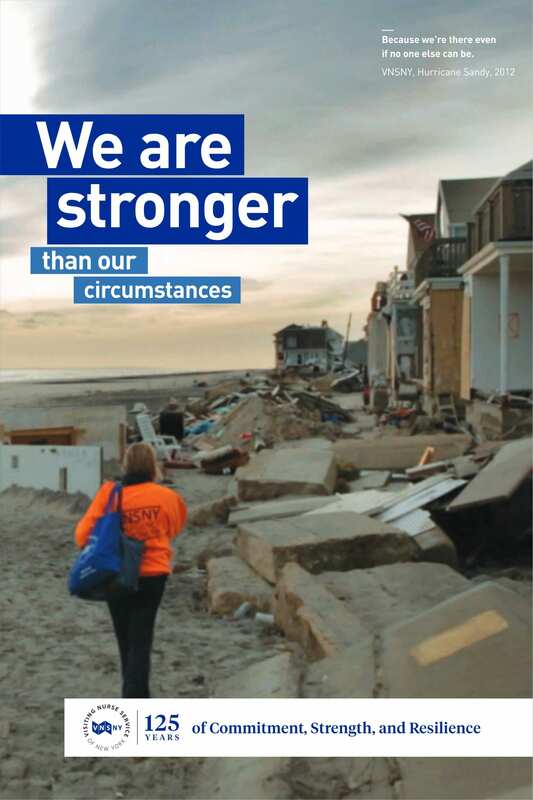 Campaign imagery included Hurricane Sandy recovery efforts, a polio victim, and examples of day-to-day perseverance from VNSNY nurses in making sure their patients are cared for. Each execution is a reminder of the challenges we all face and why they are worth overcoming. Tronvig Group Creative Credits: Art Directors Sarah Ahrens & Florencia Garcia. Creative Director: James Heaton.